First of all the winner of the TERRA Chip giveaway- comment #21- Gabrielle, who says they eat TERRA Chips with hummus. yummy! and all the veggies just looked so delicious. I added some chopped jicama and green bell pepper just because I was cutting them up anyway and I love the crunch that jicama gives to things. I made a great big bowl of this salsa and it was really great with baked tortilla chips. I also topped salad greens with this salsa and loved it that way. This was so fresh and delicious. I am going to make it again while it is still nice and hot outside. Dave just said: "Yah- make that." 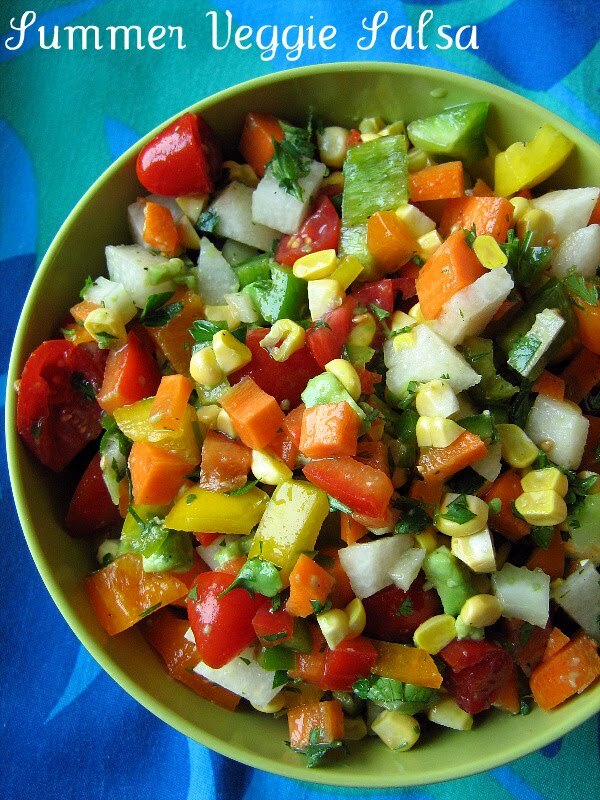 Wow, that salsa looks awesome...like a colorful jolt of healthiness! This looks incredible! I tried to make a veggie salsa once and it just turned out okay, but I couldn't figure out what it needed. I am definitely trying this one!